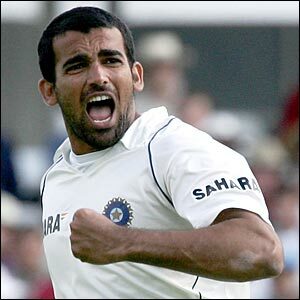 Zaheer Khan appears close to full fitness again and he should be included in India's Test squad for the upcoming tour of South Africa. India's selectors have much to ponder and plenty of options as they assess who to take to South Africa as the two top-ranked Test nations get set to go head-to-head next month. While all the attention has been fixed on Sachin Tendulkar's retirement, India must move on and eventually begin to focus on the tough task that is taking on South Africa on their own patch. In addition, including pace bowler Khan will give them a better chance of coming away from the two-Test series with a victory as they look to overcome the cricket betting odds, as the home side are likely to be favourites to prevail. There are doubts over whether the 35-year-old can still deliver on the biggest stages but, according to reports, he has been working very hard on his fitness in France and looks in good shape ahead of a possible inclusion in the squad. India are expected to take three seamers for the Johannesburg and Durban matches, with the first clash set to begin on December 18 for those planning their future cricket betting, and the likes of Ishant Sharma and Jaidev Unadkat will hope to get the nod despite Khan's obvious claims. There have also been suggestions Umesh Yadav and Mohit Sharma will be given a chance but, provided Khan can prove he is ready to play again, he should not be overlooked. There is no doubting Khan's best days may well now be behind him but he deserves at least one last call-up from his country and could just be the difference against a Proteas side determined to prove they are worthy of their status as the number one Test side in the world.